Spanish is the second most spoken language in the U.S. Set yourself apart and communicate with clients in their language. Make yourself more effective on the border or more marketable in the workplace. Grow your linguistic confidence in a fun and supportive environment. In this intensive week-long language course, you will gain the confidence to communicate with Spanish speakers by expanding your professional vocabulary and getting first-hand experience working with Central American migrants and current immigration issues. After morning classes we will spend our afternoons volunteering at a migrant shelter, negotiating in markets, or participating in CLE classes. Three hours daily of intensive small-group Spanish instruction at your level: beginner, intermediate, and advanced. No prior Spanish language experience necessary. Five days of instruction focus on practical legal vocabulary and representation of immigrants. The emphasis is on confidence and fluency in verbal communication. 3 hours CLE credits on immigration and asylum law pending; Diversity, Inclusion, and Elimination of Bias credit pending. Visits to a migrant safe house put learning to use immediately. 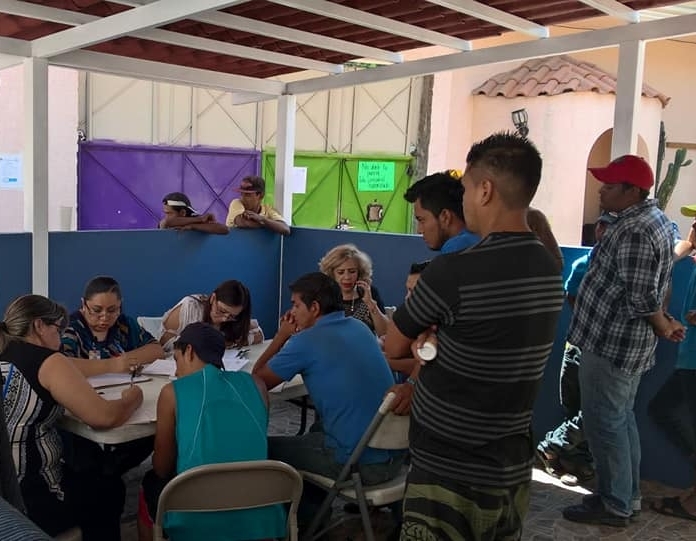 Practice comprehension skills by interviewing Central American migrants and practice speaking skills by giving pro-bono know-your-rights sessions and client consultations. Cultural and social events reinforce language learning and highlight the issue of migration. Small class size. A maximum of 14 participants ensures highly personalized instruction. The learning adventure begins the morning of Sunday, March 24, 2019 with a language level assessment and orientation to beautiful San Miguel de Allende. Class instruction starts Monday morning and ends on Friday. The curriculum, developed by a US immigration attorney with 20 years of experience, takes a practical approach designed to build your confidence in oral communication with an emphasis on legal terminology useful in your practice. Our highly experienced instructors have been carefully chosen for their expertise, enthusiasm, and creativity. The “world’s #1 city,” as voted by Travel & Leisure and Condé Nast Traveler readers in 2017 and 2018 and designated UNESCO World Heritage Site, San Miguel de Allende is a magical colonial gem. This small town is tucked high in Mexico’s central highlands, four hours north of Mexico City, assuring pleasant year-round temperatures and spectacular sunsets. Rich in history with a sophisticated culinary scene, San Miguel de Allende is home to a thriving community of over 8000 foreign retirees, families, and young professionals. 20% of residents in this charming town are expatriates. For 15 years, the San Miguel Writers Conference and Literary Festival - the largest and most prestigious co-cultural, bi-lingual literary gathering in the Americas - has attracted thousands of writers and readers from around the world, with such distinguished speakers as Gloria Steinem, Alice Walker, Barbara Kingsolver, and Paul Theroux. 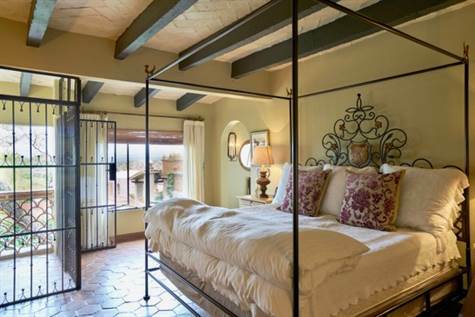 San Miguel de Allende is a world-renowned haven for artists, boasting a vibrant arts community with many studios and galleries with working artists and artisans. The streets are lined with tiny shops filled with the handiwork of craftspeople and there is a dedicated artisans market as well as the Fabrica La Aurora, an art and design center located in a former textile factory. A world-class destination, San Miguel de Allende is a foodie’s haven, attracting chefs and diners from around the globe. Home to more than 350 restaurants helmed by award-winning celebrity chefs, rising stars, and skilled abuelas, you have your pick of chic rooftop bars, intimate courtyard tables, vibrant market stalls or bustling streetside taco stands. 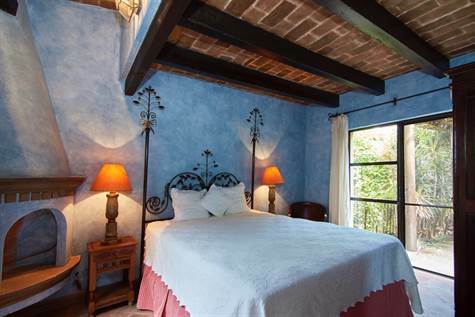 Your accommodations and classes are in a luxury Mexican style Colonial home on a cobblestone street in the colorful historic center. Seven comfortable en-suite bedrooms ensure a comfortable night’s sleep after your long days. The house has multiple patios and outdoor terraces, two living rooms and two dining rooms creating plentiful space for our small-group language classes, whether outside under the warm sun, on the garden terrace, or in the living room in front of the fireplace. Multiple sitting areas and private terraces provide ample quiet space for individual study outside of instructional time. An outdoor ping-pong table provides a great way to burn off some energy. The house has purified water and wifi throughout. 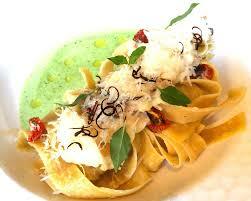 Our in-house chef will prepare daily breakfasts and lunches. The week includes an evening cocktail party with local Mexican professionals, providing the opportunity to practice social conversation. With its vibrant art scene, world-class restaurants and authentic street stalls, deep history, well-preserved Colonial architecture, eclectic shops and colorful markets, San Miguel is a city you will fall in love with. Breakfast and lunch prepared by in-house chef Monday - Friday. Welcome dinner on Saturday, cocktail reception with local Mexican professionals, farewell lunch on Saturday. Round trip airport transfer from BJX or QRO. 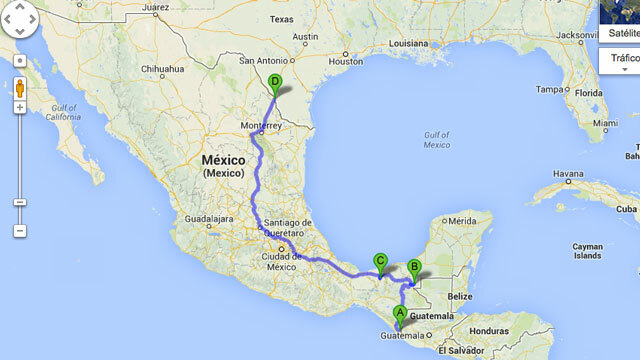 Transportation from any place other than Leon airport (BJX) or Queretaro Airport (QRO). Rebecca N. Eichler, Esq. is a dedicated immigration specialist with twenty years of experience providing compassionate and culturally-sensitive legal counsel and assistance to marginalized and vulnerable populations internationally and supervising and collaborating with diverse groups in a variety of settings. Specialties include empowering community groups by helping them understand their fundamental legal rights through public-speaking and other outreach events, as well as working in cross-cultural and other challenging environments. Rebecca is a passionate community leader, public speaker, teacher and traveler. She earned her J.D. from William & Mary School of Law and an LL.M. in International Human Rights from the University of London. Rebecca speaks fluent Spanish, French, and German. In January 2018, following a year-long road trip through Mexico and Central America with her family (which you can read about here), she moved to San Miguel de Allende with her husband Paul Carlino (a former Office of Chief Counsel attorney at IRS headquarters in Washington DC) and their two teenagers for a change of pace and a new adventure. Ginger Bandoni is a California certified educator for levels K-12, with 10 years experience teaching in Los Angeles as well as Thailand and Mexico, specializing in second language learners. She lives in San Miguel de Allende, is fluent in Spanish, and is passionate about the magic of language acquisition to open doors between cultures. Ginger is the founder of the Soulway Academy, which organizes self-realization and educational adventures globally. She holds degrees from UC Berkeley (Political Science), University of Queensland (MBA), and California State University, Northridge (Teaching Credential).